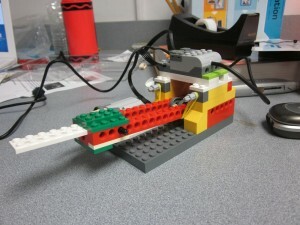 The LEGO Education WeDo kit provides a fascinating opportunity in simple robotics and programming for young students. 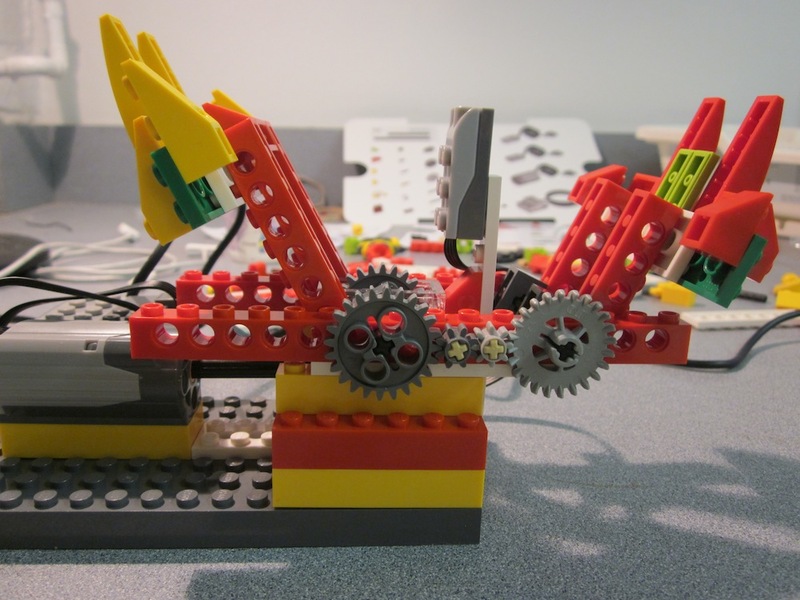 The kit has 12 activities that introduce valuable science and engineering concepts like pulley setups and gear trains and ratios, and makes them approachable and interactive with sensors, motors, and software. 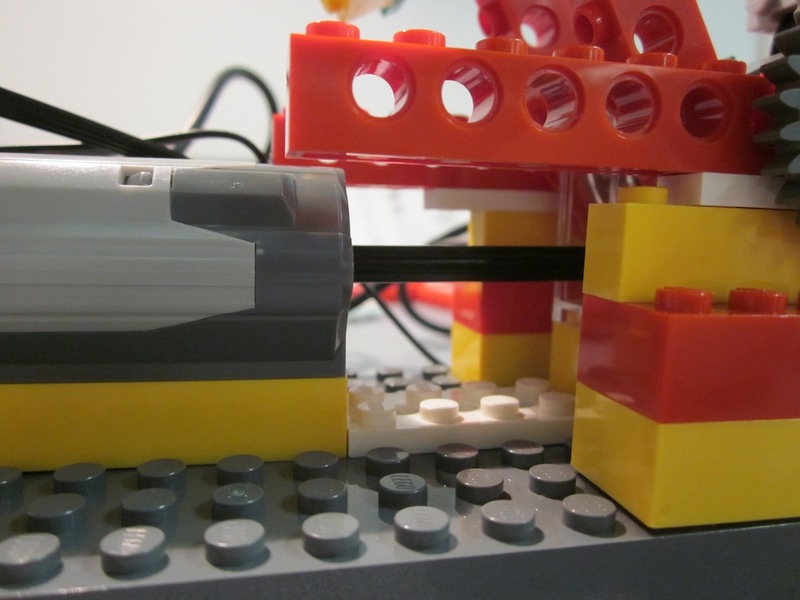 Like with all LEGO kits, the possibilities are endless. Here are a few extra ideas that can inspire you and your students. The crane is a machine that is easy to identify with because it is frequently seen in real life in construction sites everywhere. 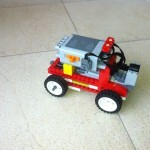 It is also a very basic mechanical system that builds upon some of the provided WeDo activities. 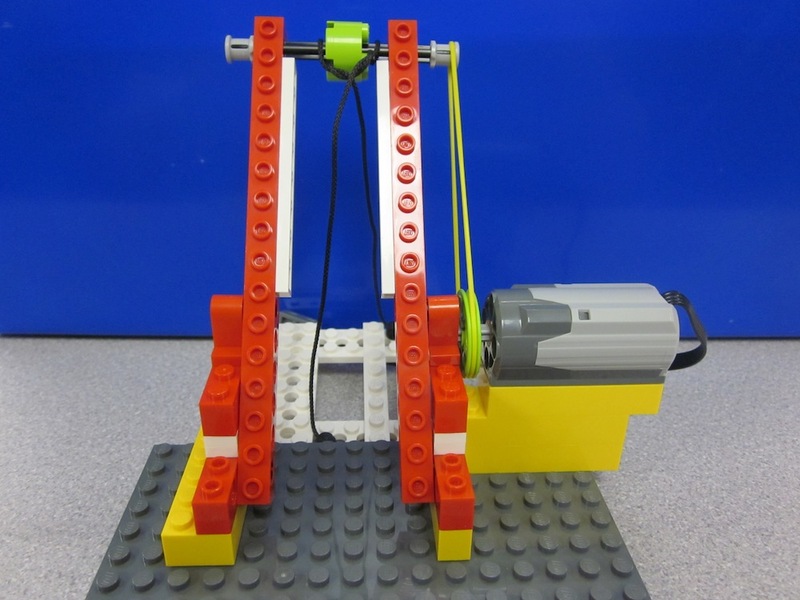 The WeDo Crane is powered by the motor that drives a long rod – like a crank shaft. 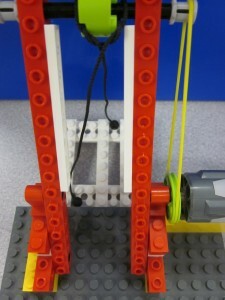 The rod winds the black string from the kit around it when it turns, while the string follows an angled beam and is attached to a small platform. As the string is wound up and down, the platform moves up and down. Are there other ways you can lift the platform? 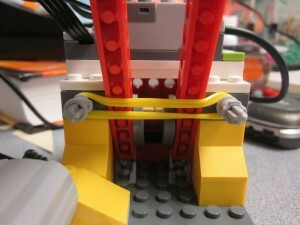 Maybe using a different kind of string, or a different driving mechanism will help (using the rubber bands somehow). 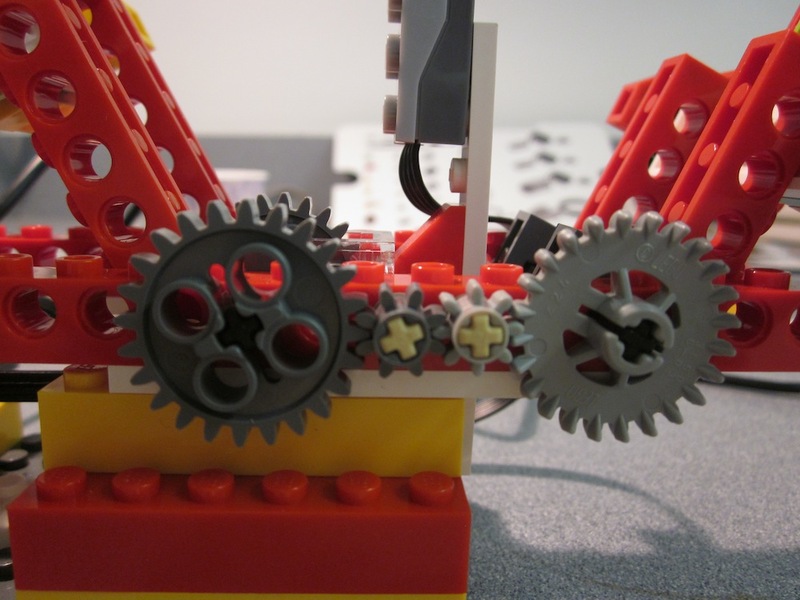 How heavy or large can you make the platform, and can you use the gears in any way to lift a heavier load? 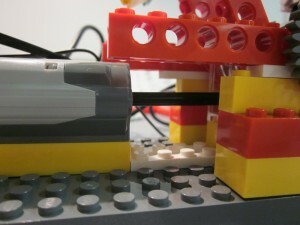 Don’t forget to give your LEGO man a hard hat before trying any of this! 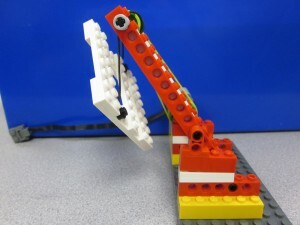 Exactly as it sounds, the LEGO catapult is a simple machine for launching small objects as far as you can with a lot of fun, and a lot of learning. The mechanism is fairly simple. There is a securely anchored base with a freely rotating rod in the middle, to which a long lever arm is attached. 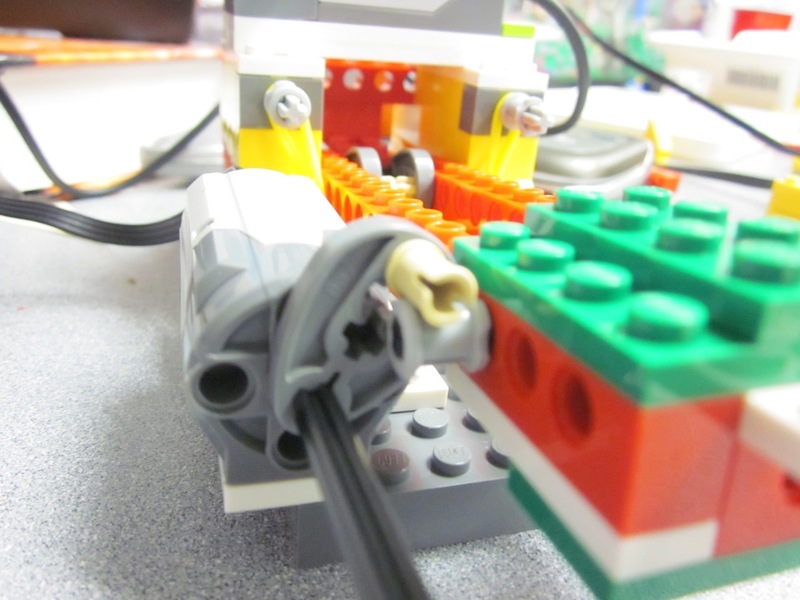 Also attached to the base are two rubber bands that the lever arm is pressed down on in tension when loaded, and a rod that stops the catapult arm after launched. 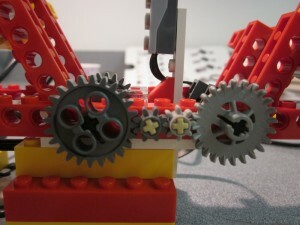 The rubber bands are part of the launching mechanism, which is kept in place by the motor. 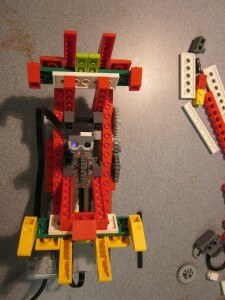 When the motor runs, the hold on the arm is released and the rubber bands launch the catapult, and the stopping rod enables the object to fly as far as possible. 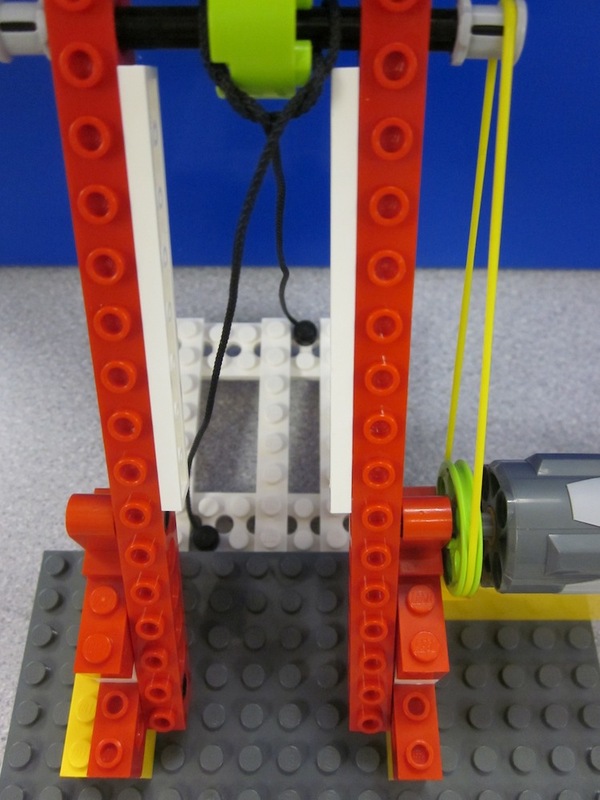 What changes can be made to the catapult that will affect how far an object is launched? 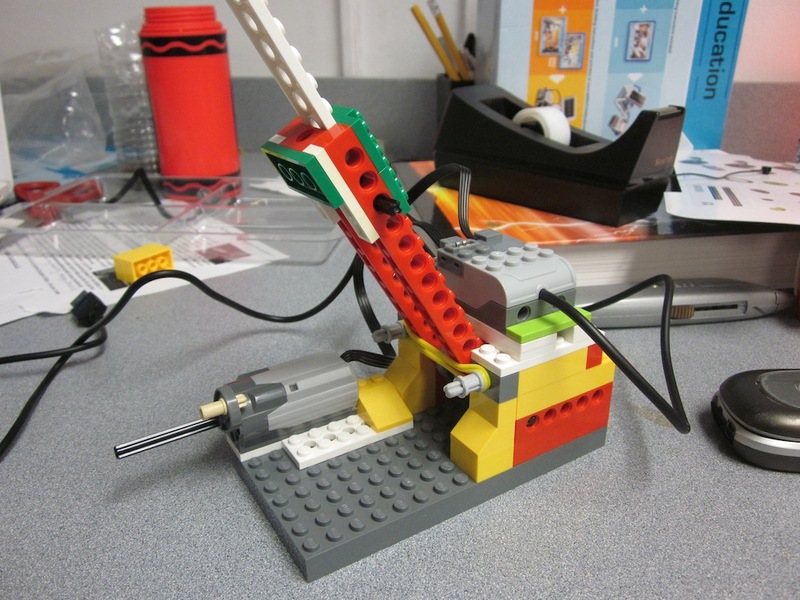 Kids can experiment with the length of the lever arm, or the placement of the stopping rod. 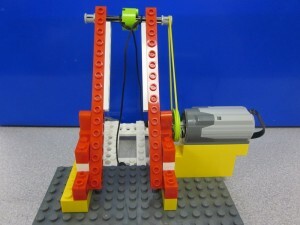 Is there a different way to power the catapult with rubber bands? Don’t be afraid to let kids engage in friendly competition, just make sure no one take a LEGO to the eye. The Venus fly trap is a fascinating plant that traps bugs in its petal-like jaws and eats them for food. Using a motion sensor, the WeDo Venus fly trap will close its LEGO petals if someone places their hand inside, and opens them again if the prey manages to escape. This is the most difficult of the three builds, but also arguably the coolest. The motor feeds into the worm gear in the worm gear box. The worm gear rotates a 24 tooth gear sitting on top in the horizontal perpendicular direction. 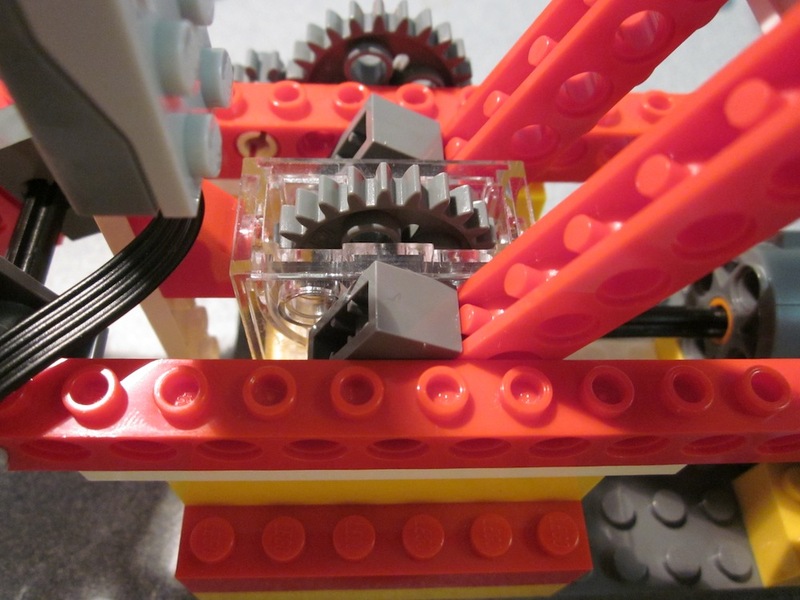 This horizontal rod has a gear on the end that is part of 4 gear train, made up the 8 tooth gears and the bevel 24 tooth gears. The two gears at either end of the train have a long rod going through them, and because it is made up of four gears, they move in the opposite direction. The rest of the structure is constructed to hold the gear train setup up, and the Venus fly trap petals are built onto the rotating rods to help simulate an opening and closing motion. A motion sensor is mounted vertically in the middle of the petals, in order to detect any food that comes in reach. 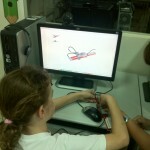 This activity is challenging, but also allows for more personal creativity in both building and programming.